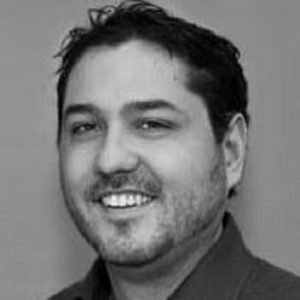 David Iwanow is an experienced and well known SEO specialist in the Search Industry. He’s the Global SEO Manager of Schibsted Media Group, where he works remotely, and has previously worked for companies like eBay. You can find him through his travel site called travel network, as well as via his social presence in twitter, Facebook and LinkedIn. I work in a global company with locally distributed teams in each market, so working from airports, hotels and local team offices was just part of the job requirements. In my first role at Schibsted my SEO development team was based with https://www.avito.ma in Casablanca, Morocco but now in my new role I look after our global SEO efforts so it means working with even more teams around the world. The biggest one is working with your local stakeholders allows you to get more done but also builds relationships and helps you understand your local market. The other factor around flexible work location is working from home recently when the UK was hit by a snow storm meant no interruption to my schedule and I was able to deliver everything I needed by the required deadline. The other thing in London many senior SEOs in my industry are moving out of London or have moved already because of the costs and stress of 1-2 hours of daily travel. If you are working remotely or from home you are in the office in 1-2 minutes and up and running and I find you sometimes end up doing slightly more work as you don’t have as many distractions and going out for lunch is a 30 second walk to the fridge so you save money also. I’m not remote all the time, I have my base in London but being remote frequently I do miss local team activities as my main team is based in Barcelona, Spain. I do have a number of friends who work remotely and I ensure I make an effort to see them if they are visiting London and we do some knowledge sharing on what new tools/processes are working or they have stopped doing. I have worked in a few locations such as Mexico City (with segundamano.mx), Amsterdam, Casablanca, Barcelona, Budapest, Helsinki, Brisbane (Australia), Dublin, Wexford (Ireland). I would have to say Amsterdam was a brilliant spot for remote working as time zone wasn’t too different and I had amazingly fast internet in the hotel. I do really enjoy working with several of my local teams when I get the chance as they are all amazing people! Mexico City and Australia were a big tougher due to time-zone differences which meant getting up early to staying up late to ensure you didn’t miss important meetings. I mainly work from our local offices but sometimes do work from hotels depending on the timezone and if I’m attending a conference. I really prefer a quiet place with decent WiFi and a comfortable desk/chair so don’t know how people manage to spend hours in coffee shops on those uncomfortable wooden chairs. If I’m travelling I try and get to the airport early so I can work from the lounge, I purchased a PriorityPass that gives me access to most airport lounges which means I can ensure I have decent WiFi and often a quiet place for a conference call. It sounds bad but ideally somewhere with decent internet as I depend a lot on decent bandwidth to run SEO tools like ScreamingFrog, I work with a lot of large Google Doc files and of course a lot of video calls with other remote teams. I prefer to work in our local offices where possible as the interaction and knowledge sharing with local teams is the key part of my role. I think trust is the biggest one, the previously agency MD said they hated not having staff in the office because they couldn’t monitor and control them. They have just started to open up the idea for remote working because they are struggling to recruit and retain staff as more and more agencies are adopting to a remote work environment. There are heaps of amazing companies that are starting to open up to the idea of remote working even if it’s from home 1-2 days a week helps with staff morale and stress levels but also reduces office costs and increases retention levels. I’m an employee so it’s one less thing to worry about, in the past I used tools such as FreshBooks. It can be tough for sure but make sure you join a company with a great work ethic and support you with the software/hardware to get your job done when travelling. Also if you are working remotely make sure you don’t work alone all the time, spend time in a base and even visit co-working spaces to bounce ideas of similar people once in a while.